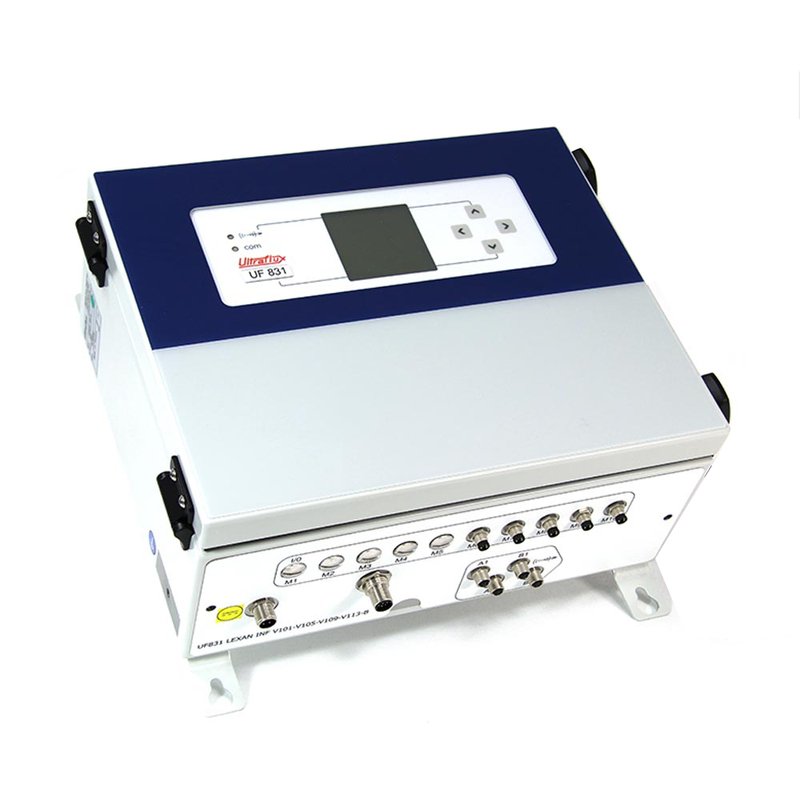 The Ultraflux Uf 831 flow meter uses dual DSP (Digital Signal Processor) technology for echo measurement in difficult conditions. This device also includes up to ten input/output modules, a 536,886 data item store and optional communication module enabling dialogue with most common protocols (including Ethernet). 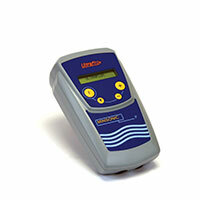 The Uf 831 guarantees reliable, accurate and stable results even in extreme measurement conditions. 2 static relay digital outputs (50V – 10mA) usable on frequency outputs. Aeraulics: Measuring air flow rate for test benches. Raw water and drinking water: Flow measurement and metering, process control, system supervision, etc. Climate engineering: Water metering (hot or cold) for air conditioning. Chemical products, even aggressive liquids: Process control, system management, etc. Crude oil: Management of samplers for controlling loading/unloading, etc. Refined oil products or liquefied gas (LPG): Regulation and control of transport system, etc. Energy: Calculation of the yield from hydroelectric power stations.